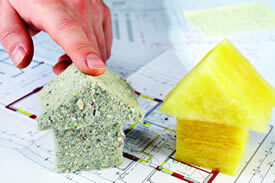 Fiberglass insulation is a cost effective method to help save energy in both residential and commercial construction. It can be used for thermal and acoustical performance with a variety of different R-values, sizes, and facings on the product for jobs in ceiling, walls, and floors We use unfaced batts with 4 or 6 mil overlay; Kraft and/or foil faced batts. We are BIBS certified for all types of construction. 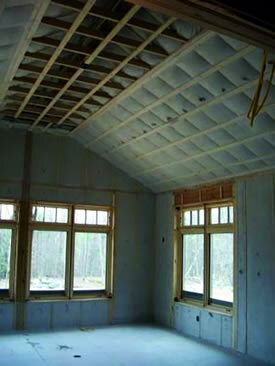 This is a blown in dry system that is done behind fabric covered wall for new construction or in existing wall board. Our formaldehyde free product is Greenguard Certified for children and schools. 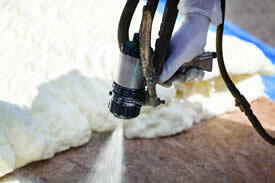 Spray foam insulation is the very best product for many applications. 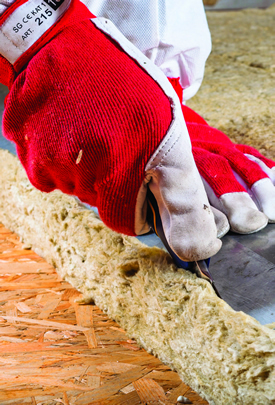 It has the highest R value per inch than any other type of insulation. 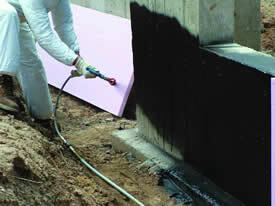 Seal air drafts, creating a moisture barrier, by applyingfrom the inside or outside with a UV coating. 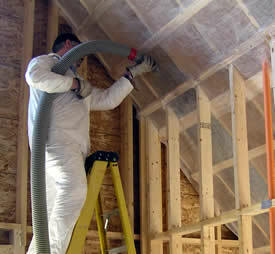 Spray foam insulation minimizes hot and cold spots in your home, improves your homes heating and cooling efficiency, provides superior sound control, also gives you the benefit of added structural integrity to the structure of your home. Spray Foam Insulation can be sprayed into any closed cavity applications, cement blocks, rim joists, exterior walls, ceiling knee walls, cathedral ceiling roof decks and around plumbing or duct work. Cellulose is a green product made from renewable and natural resources; it is manufactured locally using 85% recycled newspaper. Cellulose insulation provides an effective one hour fire rating, which will slow down the spread of a fire allowing more escape time. 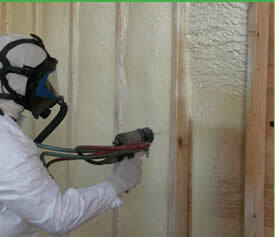 Cellulose insulation meets all of the standards established by the ASTM for fungi resistance. 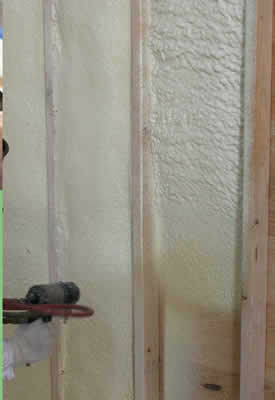 We offer a couple of options to insulate around pipes and electrical work for new and/or remodel jobs. limestone, and stucco walls. 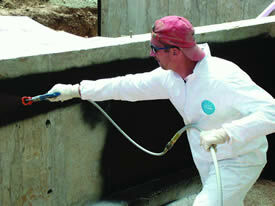 One option is a wet spray application in an open wall. Another option is Certified Density Pack. This application is done in retro, from the inside, outside or the attic. This can be done in all types of siding, brick, limestone and stouco walls. An energy audit of a home may involve recording various characteristics of the building envelope, including the walls, ceilings, floors, doors, windows, and skylights. For each of these components the area and resistance to heat flow (R-value) is measured or estimated. The goal of this service is to quantify the building’s overall thermal performance. The audit may also assess the efficiency, physical condition, and programming of mechanical systems such as the heating, ventilation, air conditioning equipment, and thermostat. 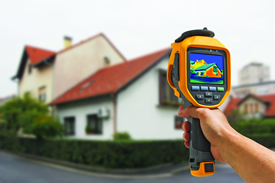 Saunders Insulation thermal imaging equipment is beneficial for several reasons. 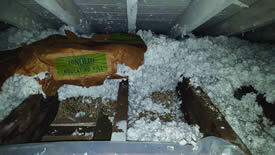 Our state-of-the-art technology can help prevent air leaks by finding where your insulation is insufficient. We can also find moisture or mold in walls, water leaks, and even electrical problems - all of which can be potentially harmful to your health. Thermal imaging is a great way to check a home you just purchased if you are unsure about how well it is insulated. 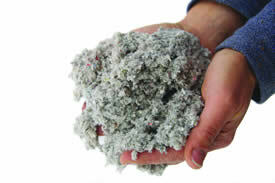 Diagnosing problematic insulation now, can have significant savings in the future. Prolonged exposure to the common problems associated with water penetration can be harmful to you, your family and the home you live in. Health complications can arise from breathing in the dangerous mold, mildew and spores that grow in damp environments, while wood rot and foundation cracks can ultimately be the downfall of the building’s structure. When waterproofing foundations we use polymermodified water-based, liquid waterproofing membrane which is a heavy bodied, high solid, seamless application for new and existing foundations. This has a very low paper probability, ridges minor cracks, fully bonded, fast drying, and be used on dam or green concrete. Elastomeric coatings can be applied to fully cured concrete, roofs or overspray foam insulation as well as, brush or troweled on coatings for both concrete and foam.